If you plan to store some or all of your items, be sure that you choose an appropriately sized unit. That way, you can stack boxes/plastic containers so that the contents are protected while having adequate room to move around whenever you gain access to the unit. Make a list of everything that will go into storage so that you can estimate the number of boxes/ plastic containers required. 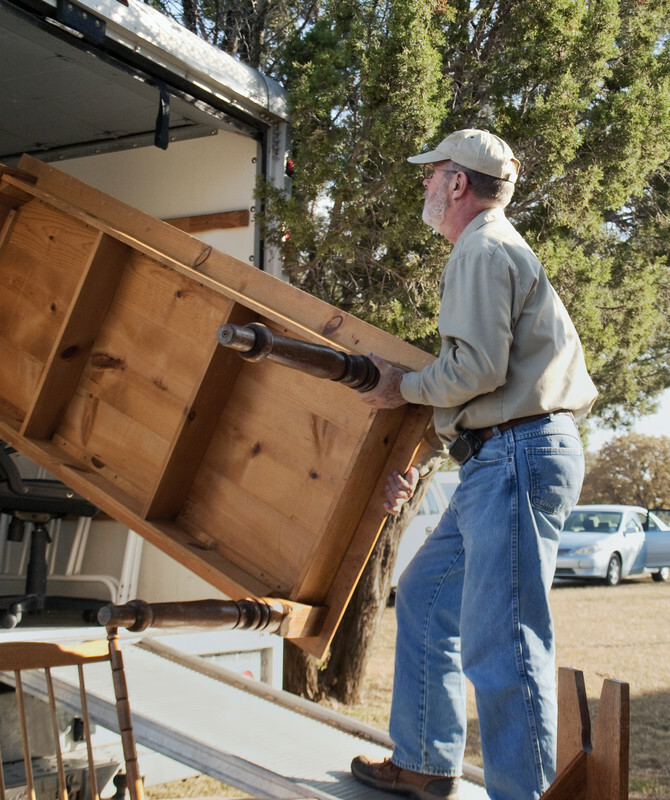 Be sure to factor in large items, such as appliances, mattresses, furniture, and so on. Most moving and storage companies offer the same size units. With the examples provided (in feet), you can better visualize what each unit accommodates. 5×5 – One chest of drawers, four to six boxes/plastic containers, and two filing cabinets. 5×10 – Loveseat, mattresses, refrigerator/freezer combination, 10 boxes/plastic containers, one filing cabinet, and one or two floor lamps. 5×15 – Small sofa, chest of drawers, mattresses, metal bedframe, washer/dryer, refrigerator/freezer combination, approximately 12 boxes/plastic containers, and a dining room table (legs removed) with two chairs. 10×10 – Sofa, living room chair, nightstand, washer/dryer, refrigerator/freezer combination, stove, dining room table (legs removed), four dining room chairs, and about 10 boxes/plastic containers. 10×15 – A compact car can be parked in the center with the contents of a two-bedroom apartment on either side. 10×20 – A compact car or most full-size cars can be parked in the center of the unit with the contents of a three-bedroom home on either size. 10×30 – Accommodates the contents of a three- or four-bedroom home, as well as most boats, commercial trailers, and vehicles, including trucks. 20×20 – Fits the contents of a large home with four bedrooms, along with a motorcycle and full-size pickup truck or boat with trailer. As the largest unit, this is an ideal solution for larger homes and commercial businesses. Due to their popularity, 20×20 storage units are often booked. This is why top moving and storage companies recommend that you lock into a reservation for this size unit as early as possible. However, you can always rent two units or store vehicles outside within a protected and covered area. For more moving and storage tips and tricks or to request a free moving estimate please contact us today!